Three lots of PTIC Angus cows, 3-7 years totalling 168 head from Carcoar, NSW sold for $910 and are all heading to Victoria. 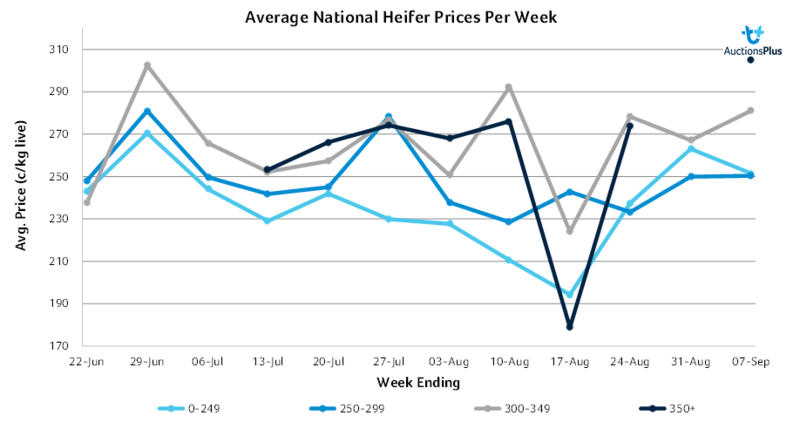 CATTLE numbers offered rose five percent to total 6321 head in sales on AuctionsPlus this week, with the majority of the offering again comprising young cattle coming out of droughted areas of New South Wales. Cattle out of Queensland remained in short supply, with just 863 head listed. 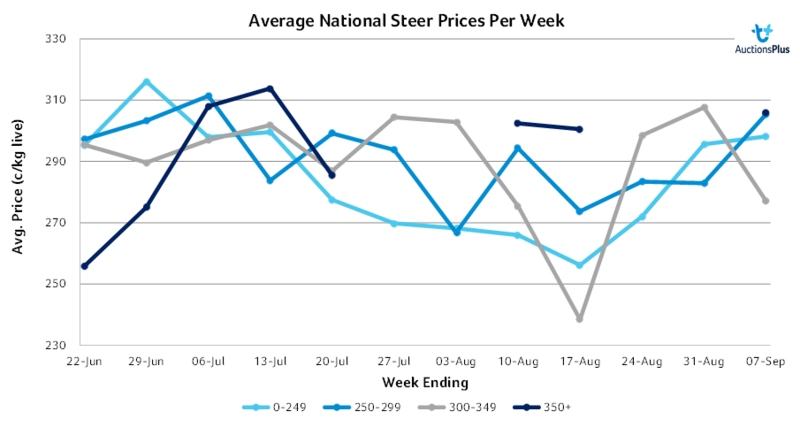 Price trends on young cattle, both steers and heifers, were mixed, with lighter steers trending dearer, while lighter heifers were firm to softer. This week’s Weaner & Yearling sale saw a good clearance rate of 80pc among the 4948 head offered finding buyers. PTIC heifers and cows were once more in short supply. Three lots of PTIC Angus cows, 3-7 years totalling 168 head from Carcoar, NSW hit a top of $910 and are all heading to Victoria. Cow and calf numbers rose firmly to hit 1176 head and achieved a clearance of 85pc. A top price of $1780 went to a line of 22-26 month old Angus heifers and calves, from Gloucester, NSW, going to a local buyer. Young Shorthorn cows & calves out of Cumnock, NSW, cows averaging 413kg topped at $1300, going to buyers at Narrabri. Steers in the weaner & yearling sale averaged $743 or 296c live, while heifers averaged $629 or 254c. The top price of $1185 or 305c live went to a line of Charolais/Angus weaner steers from Woodhouse, VIC, averaging 388kg, which are making the 680km journey to Burra, SA. The same buyer purchased a line of Charolais/Angus steers 310kg at 11-12 month of age from the same vendor for $910 or 294c live. Other highlights include 112 Angus steers out of Walcha, NSW, averaging 278kg, hitting the market due to adverse seasonal conditions, which made $940 or 356c live. A line of 54 weaned Angus steers 5-6 months averaging 160kg from Gundagai, NSW went for $520 or 323c live, finding a buyer near Adelong, NSW. Speckle Park heifers from Cooma, NSW sold for $855 or 338c live. These heifers averaged 266kg and are making the trip down to Alcomie, TAS.